Ashkaan Hakim (San Ramon, CA) won the 97th Sacramento City Championship on Sunday, shooting a two-round total of 5-under 139 at the Alister MacKenzie Course at the Haggin Oaks Golf Complex. 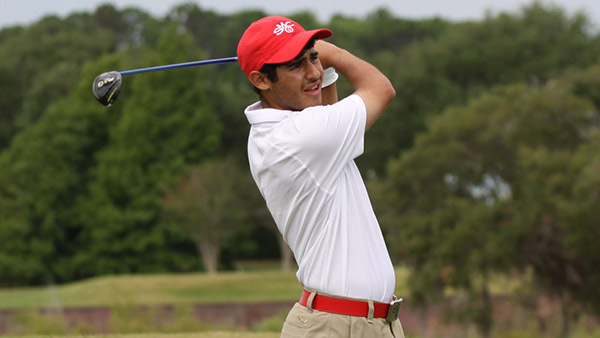 Hakim, who just finished his freshman year at St. Mary’s College, won the tournament on the strength of a first-round 67, which gave him a two-shot lead over Dylan McDermott (Granite Bay, CA). Tim Sauer (Loomis, CA) and Mitchell Card (Redding, CA) shared third after rounds of 70, with six players at 1-under 71. But none of the nine players who broke par in the first round would make the biggest charge on Sunday. Instead, it would be Jeffrey Yamaguchi (Fresno, CA), who just finished his college career at Stanislaus State, who would put the heat on Hakim. Yamaguchi, who won the NCGA Four-Ball with partner Michael Jura last month, shot a 73 on Saturday and had ten players ahead of him. But he shot his own 67 on Sunday, posting 4 under in the clubhouse and giving Hakim the target score to beat. In the end, Hakim would do just that, posting a 72 to clip Yamaguchi by one shot. It is the latest Northern California amateur win for Hakim, and second in a row. Last week he won the Modesto City Championship in a playoff. In 2015 he won the Concord City Amateur and added the AmateurGolf.com Christmas Classic. University of Nevada Sam Harned (Rocklin, CA) finished third with rounds of 71-70, while McDermott shot a 74 for a 143 total and a fourth place finish. Four players — Joshua Diaz (Discovery Bay, CA), Aishvary Patel (Roseville, CA), Sauer, and Robby Torres (San Jose, CA) — tied for fifth at even par. The defending champion Devyn Fitchhorn (Vacaville, CA) tied for 35th at 7-over 151.